Superstitions with respect to flowers are worldwide. The bride carries a bouquet of white roses, all unconscious of the fact that somewhere on the earth are people possessed of the notion that to smell white roses is “bad for the brain.” Nor recks she, as she sees the same bouquet torn apart by her girl friends in the grand scramble for it, that to pull a flower to pieces—as is inevitable under the circumstances—is a sure sign that you will die of consumption. Had she worn no veil it would have been bad luck to show any flowers at all in the hair. Tuberoses the bride must not wear, as they portend mourning; in Scotland bluebells are barred, as bringing on insanity. Again, happy is the bride who sees white flowers first on her wedding morn; if they be red, look out for sorrow and care. Certain of the most curious superstitions as to flowers have to do with the seemingly innocent matter of bringing them into the house. If one keeps a scarlet geranium in the house all the year round some one will surely die in that household, they say. Evidently this fear is not current in some of the seacoast towns, because there it is a common custom to maintain scarlet geraniums indoors all summer, as the winds are not conducive to bedding out of doors. Nor would the Mohammedan theory that the scarlet geranium is really a swallow converted into a flower by touching Mahomet’s robe be accepted. In Scotland bringing a flowering hawthorn into the house foretells a death in the family. In northern Germany it is the cornflower, which used to be the Kaiser’s own bloom, that is barred from the house, lest the bread mold. In England Devonshire folk hold that it means death to bring into the house a single daffodil, when this flower first appears in the spring. There must be a bunch of them, and the cowslip is similarly hedge in by superstition. A hydrangea in the house “brings trouble,” and snow-drops are “unlucky,” while wild flowers generally prevent the first brood of chickens from hatching. If one wishes a plant indoors to show a large and profuse bloom he must place in the flower-pot some fresh earth from the grave of an infant baptized within twelve months. No yellow bloom should be brought in to the house in May. The house with bergamot near it is never free from sickness. A plant of heliotrope in church will keep in their places any untrue wives in the congregation. Beware of being “overfond” of flowers: you will never marry. Beware also of picking the red field lily; it will give you freckles. Thistles, although highly decorative, must not be gathered, since the act foretells ‘folly, approaching dispute.” In general, however, it is good luck to gather flowers. 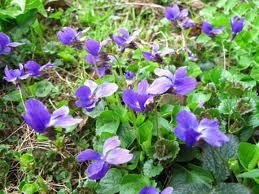 To pick roses is a happy omen, and as for violets, complete success in all undertakings follows. Yarrow is a flower that will enable a girl to see her true love, but she must pluck it from the grave of a young man. If she finds saffron instead on the grave, that is a good omen for some one; if there are three yellow lilies the man has been unjustly executed. In England there is a superstition that if a bride and groom eat periwinkle leaves together they will love each other. Should he, after marriage, prove recalcitrant, here is a way to win him back: Take a piece of the root of a wallflower and a partridge’s heart, roll them into a ball and make the man eat it. If you want to learn whether you lover loves you, crush some bleeding heart. If the juice be red, he does; if it be white, he does not. Witches, of course, must be excluded from the house. The Chinese bring this about—or think they do, which amounts to the same thing—by suspending bunches of herbs and magic plants over the door. In England hawthorn used to be hung over the entrance to a house in May to ward off witches. On May Day the witches, as well as the fairies, are in the gorse, so choose some other time for burning it. If you don’t believe there are any witches there are Dutch folk who will tell you to carry a four-leaf clover on Christmas Eve and let your own eyes convince you. It is good luck to eat the first mayflower you see in the spring. If it is a crocus, let is alone; in Austria they say it draws away one’s strength. Nor must you dig up a cuckoo flower and tempt luck by moving a wild daisy into the garden. In Egypt the anemone is one of the lucky flowers of spring; wrap the first one in red cloth and, if not disturbed, it will cure disease. On the French coast it is useless to try to catch fish unless the waters are first strewn with flowers by the fishermen’s wives and daughters. In Devonshire they regard it as unlucky to plant a bed of lilies in the course of twelve months. The Turk sees misfortune in so slight a thing as the fall of a rose petal and will sometimes guard against such dropping by carefully picking the flowers before they fall apart. In Samoa the head of a corpse is wreathed in flowers to aid the soul to gain admission into paradise. “She who wears the lilac will never wear the wedding ring,” runs the old proverb, and although the scent of the flower is sweet and its tints are fresh and universally becoming it is contraband among the village maidens in England. A single boutonniere of lilac has been held responsible for solitary spinsterhood. For the same reason mothers with marriageable daughters never allow a jug of the sweet smelling blossoms inside the house. It may stand on the outside window sill, but “there’s no love luck about the house” when there are lilacs in it. To give one’s sweetheart a spring of the flower is the death blow to the most secure of engagements. White lilacs are even more fatal to love affairs than the colored ones; they are, in fact, as ominous as an opal ring. Love, however, laughs at artificial flowers, and only the real tree grown one can come between the lover and his lass. Stony-hearted bachelors sometimes sport a lilac boutonniere as a charm against feminine blandishments. Londoners do not share the superstition, and use the flower freely for decoration, regardless of the unlucky attributes. Queen Adelaide, consort of King William IV, was apparently unafraid of lilacs, although, to be fair, she was already married when she commissioned her famous Honiton lace dress whose flower patterns, included lilacs, spelt out her name. This entry was posted in Death, Edwardian, Gardening and flowers, Supernatural and tagged flower folklore, flowers, folklore, gardening, lucky flowers, unlucky flowers on May 22, 2013 by chriswoodyard. This is enough to ban floral arrangements altogether–so many rules!